Ferrari 458 Italia GT2 "AF Corse, No.51"
This streamlined Ferrari is a genuine racer. There's no clutch, so the gears are switched almost once a second. The Ferrari 458 Italia GT2 bearing the race number 51 guarantees a great result every time. The 1:43 scale Carrera GO!!! 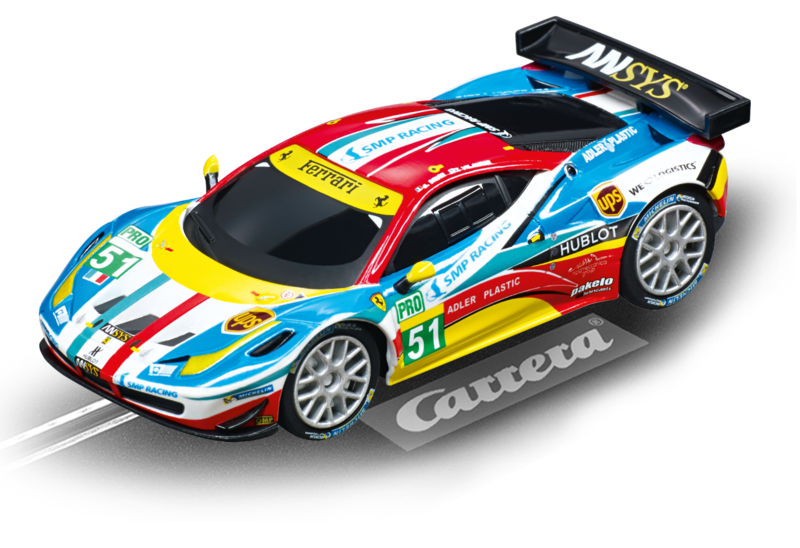 Ferrari 458 Italia GT2 slotcar "AF Corse, No.51" is a thrilling, faithfully detailed reproduction. This Carrera car is perfect for introducing children of 6 years and upwards to the fascinating Carrera Racing World!